Carve out your own 20,000 League Under the Seas! 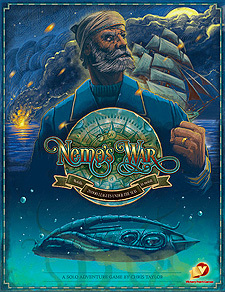 Nemo's War is an adventure game of underwater exploration and combat circa 1870. You are Captain Nemo, commander of the magnificent Nautilus, an underwater vessel beyond compare. You will search the wild seas, combat vessels of all nations, brave the hazards of the deep, find mysterious treasures, behold and chronicle amazing wonders, and travel around the world in your quest for knowledge and vengeance.